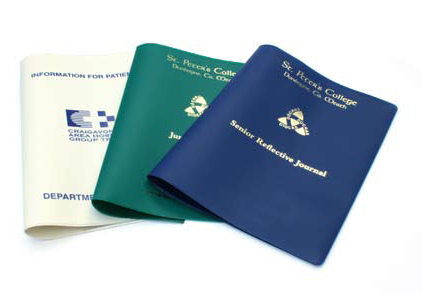 A large selection of PVC covers in standard sizes, available for school books, credit union book covers, travel document wallets, diary covers, credit card wallets, pass book wallets. Special sizes made to order. Can be manufactured in coloured, clear or soft natural material to your specification and printed as required.